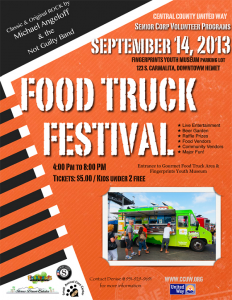 Corona isn’t the only Riverside County city hosting food trucks today (September 14). 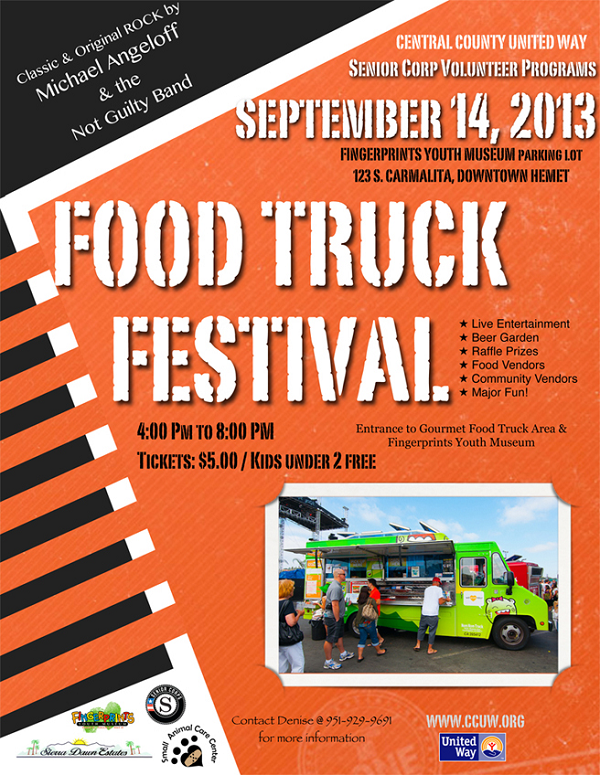 The Central County United Way is sponsoring a food truck festival from 4 to 8 p.m. in the parking lot of Fingerprints Youth Museum, 123 S. Carmalita St., Hemet. Admission is just $5. Those two and younger are admitted free. A special five-pack deal is available online for $22.50 (plus $1 service fee). Advance tickets are available here. The event will also include a beer garden and live music from Michael Angeloff and the Not Guilty Band. This entry was posted in Hemet by John Plessel. Bookmark the permalink.